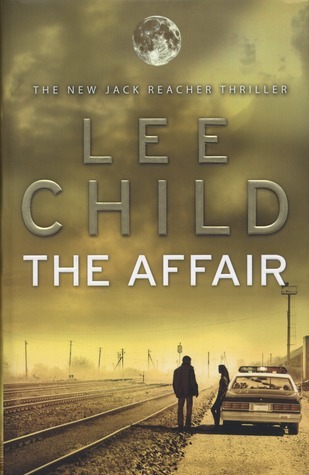 The Affair (Jack Reacher #16) by Lee Child. Publication : September 1st 2011 by Bantam. Thanks to Random House India, I've a giveaway of NYT Best Seller Lee Child's new novel The Affair for you guys today! So go on and enter! Random House India is responsible to ensure that the winner gets the prize. Giveaway ends on August 22th, 2012. That's a tough one. I haven't read a lot of thrillers but I do enjoy them. I have to say it's Jason Bourne (both the movie and book versions). I love him. Thanks for the giveaway Anjana & RHI! I haven't read any of Lee Child's books but I'd love to give it a try. I loved The Girl with the Dragon Tattoo so I'm going to go with Lisbeth Salander as my favourite thriller protagonist. I have to say Robert Langon as the one thriller books I can remember reading right now are Dan Brown's. Ok, I like the suggestions above, so Jason Bourne it is! Loved the movies! I love Lee Child. I have already read 5-6 books. Jack Reacher has this almost larger than life feel. Also, with him around everybody can feel safe! I have read few thrillers by Dan Brown and Sydney sheldon and among them Robert Langdon is my favourite. I have read numerous Lee Child books, but I love Jack Reacher. Thanks for the great giveaway. Oops, Sorry, didn't realize it's India only. Still a great giveaway even though I'm in the US and not eligible. I would like to win this book. Thanks for the giveaway. I am in the race for this book!!! I've never read Jack Reacher series. Just heard about it since Tom Cruise is doing a movie! I'd love to be Robert Langdon in Dan Brown's novels!